Using WooCommerce you can easily add a coupon to offer your customers discounts on the products for sale from your BoldGrid website. A great way to begin marketing your e-commerce website, is to offer new customer discounts. This guide will describe the steps for how to create a coupon using WooCommerce that offers 10% off and free shipping for new customers. In order to create and manage coupons, you will need to first enable them from the WooCommerce Settings. Follow the steps below to enable the use of coupons at checkout. Hover over WooCommerce and click on Settings. Click to check the checkbox labeled: Enable the use of coupons. 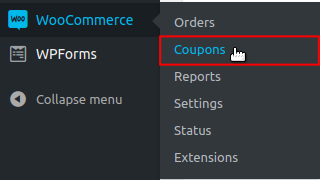 Now that you have enabled the use of coupons at checkout, a new menu option will appear in the WooCommerce menu. You will use this Coupons menu option to manage your shop’s coupons. Follow along with the steps in the next section to learn how to create your first coupon. Hover over WooCommerce and click on Coupons. NOTE: This code is how the coupon is identified. It must remain unique from other coupon codes that you may have created or plan on creating. Enter an optional coupon description to specify the stipulations or conditions for the coupon. Click the Publish button to save your new coupon. Use the tables below to reference the available options for the coupon data that you can configure for your new coupon. NOTE: The values listed in the tables below, refer to the example coupon created in this guide. The value: “N/A” represents a value that is “not applicable” in our example, therefore a specific value is not selected. However, you may customize the coupon data values to configure your own coupon. NOTE: After adjusting any settings, remember to click the Update button to save your changes. Now that you know how to enable coupons and how to create a coupon in WooCommerce, you will want to begin the process of advertising/marketing it. You can use the coupon code to send it to potential customers via email, advertise it on your BoldGrid site (in a banner), or market it on social media. 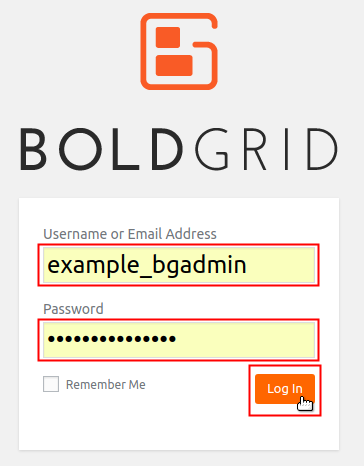 Be sure to check back often for more WooCommerce guides in the BoldGrid Support Center.